Photo of Lincoln Memorial in D.C.
Lincoln Memorial: This beautiful memorial for our 16th president is located in Washington, D.C. 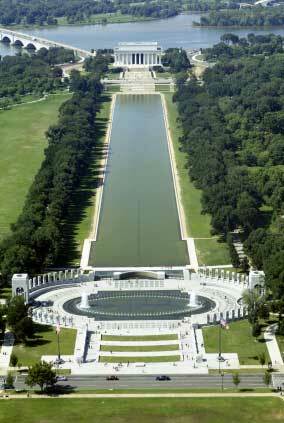 There is a long reflecting pool in front of the memorial. It is a popular place to give speeches and hold rallies and protests.